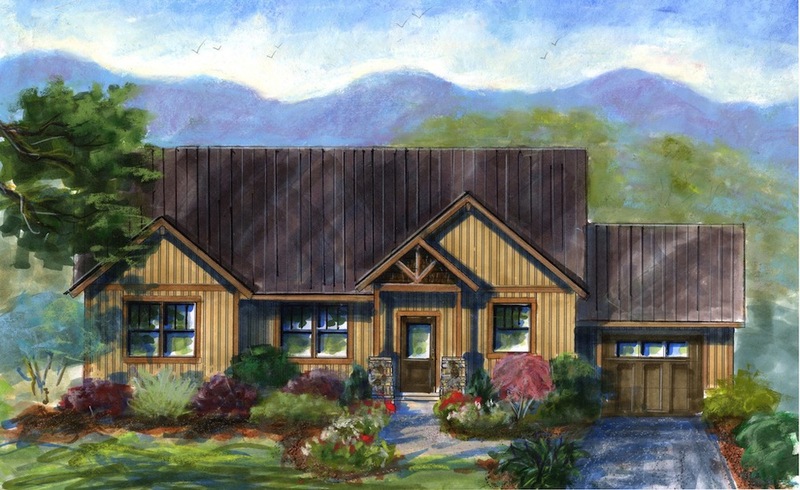 This versatile mountain home features a large great room, kitchen and master bedroom off of the main living area, as well as a magnificent two story Outdoor Living Porch with its own cozy fireplace for the evenings. The downstairs living space features a family room and home theatre. 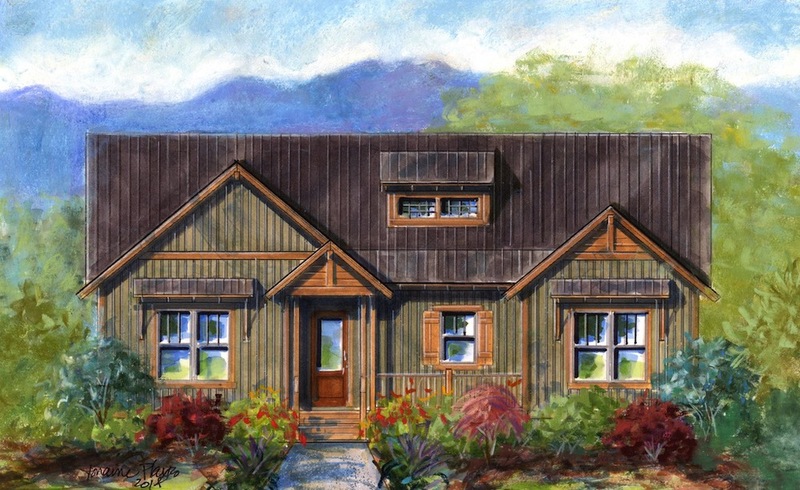 The DownDog has three and a half baths and can be built as either a three or four bedroom home. This four bedroom, three and a half bath home features an expansive great room, kitchen and master bedroom off of the main living area as well as a magnificent outdoor living porch, complete with a fireplace. 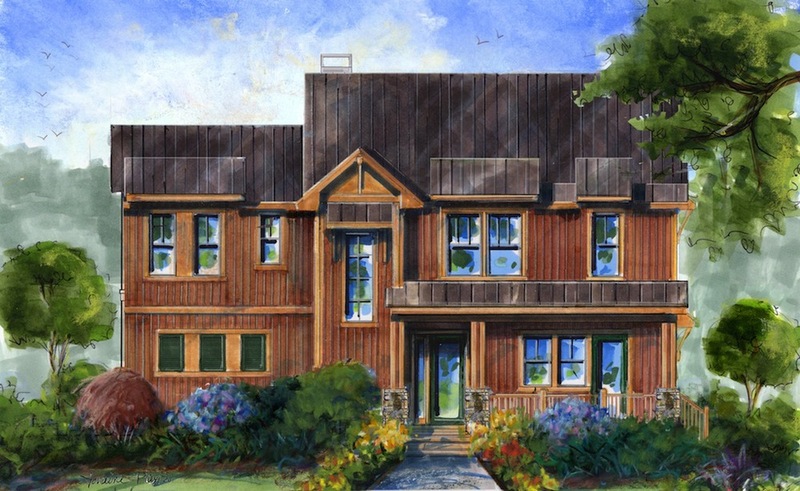 The upstairs living space features a second master bedroom and two additional bedrooms, each with a “Jack and Jill” bath, making the UpDog a great choice for anyone expecting friends and family to share in their enjoyment of the mountain lifestyle. This mountain home was designed to live comfortably on one level. The home features a great room and oversized outdoor living porch with a fireplace to bring the outside in. The BigDog has three bedrooms and three baths, making it an easy home to share with family and friends. The mud room off of the foyer allows you to drop off the flip flops and hiking boots at the front door and conveniently put them away until your next adventure.